We are looking forward to meeting PVCICS families on drop-in day! Stop by the gym on Monday 8/27 between 9:00 and 12:00 to meet some of your FA Executive Officers and find out how you can become involved this year. We will have some discounted Dragon Gear available ($5 T-shirts, $2 water bottles, etc.) and FREE DONUTS. Come see us! Stay connected with us on Social Media. Be sure to sign up for our email newsletter to receive updates directly. 5th and 8th Grade Fundraiser at Panera! NEW Dragon Gear launching on 9/10! Support our school through MightyNest! Purchase with purpose. 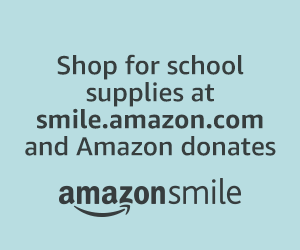 Amazon donates to Pioneer Valley Chinese Immersion Charter School Family Association when you shop for back to school supplies at smile.amazon.com. Register Your Stop & Shop Card Now! © 2019 PVCICS Family Association. All Rights Reserved.